Ive: I feel that the subtle sexism in our world today is a much more dangerous to women and girls now than it was 60 years ago. Women are being fed an idea about what the ideal woman is, and that is slowly becoming more and more prevalent. And for me as a woman of color and a dancer, femininity is a huge deal. The ideal body of a dancer portrayed by history has always been thin, pale, long legs, but not too tall, and Caucasian features; I was not born and may not ever have any of those features. 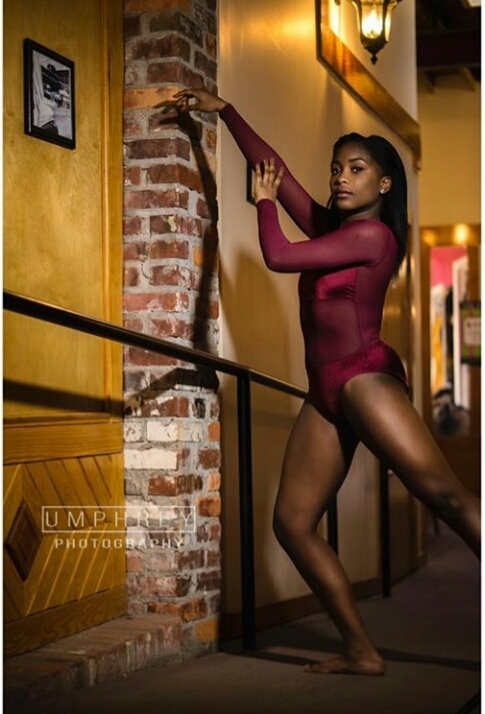 As women of color and as dancers, we must learn to love the bodies we were born with and to not resent them just because it is not what is “typical” of a dancer. Ive: We live in an ever-changing world where more women of color are being recognized in the dance world. I think this is an amazing opportunity to show younger black girls that they can achieve what they want, that there are other women of color doing the same things they want to do. Black dancers have innovated dance as a whole and drastically swayed the popularity of dance. Ive: Black history month is very near and dear to my heart. I feel that February is just an accent for my black pride. I am proud to be who I am year-round, but February symbolizes the epitome of that pride. Black history month gives me an extra opportunity to educate and empower my peers, whether they are black or white. Ive: I’ve learned throughout all my years’ training as a dancer, that you should stay true to yourself. You can’t be seen and you can’t be known if you blend in with everyone else. If you show the best version of who you are, then people who want to work with you and see you perform will be immediately attracted. I understand that sometimes it may be uncomfortable to stick out, but it’s truly worth it. Ive: Mentorship is very important. Not only in the studio but, outside of the studio. It’s also important to give back to those who are coming up behind you. I also feel that finding your inspiration, no matter where it comes from is truly key.